To continue our Street Fighter week, it is fair to do some coverage on the ladies of Street Fighter. 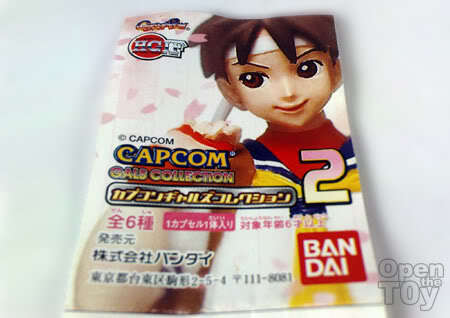 Some years ago, Capcom came up with a Gashapon (capsule) series of Capcom gals and I was fortunate to get a hold of some of them. 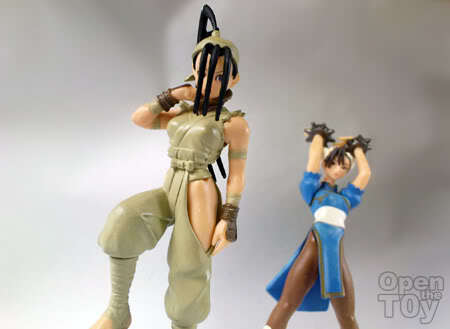 The Street fighter ladies on show here today are mostly from Capcom gals collection series 2. Since it is Street fighter week, it is only fitting to review the street fighter ladies here and leave the other Capcom gals out. First is Sakura. 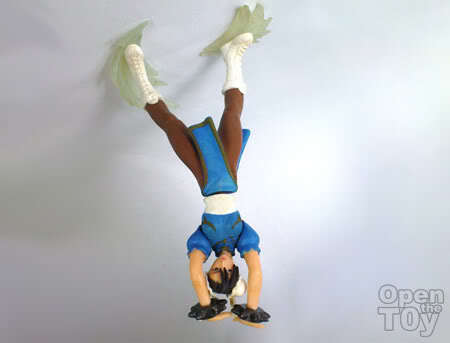 A 16 years old school gal who a big fan of Ryu resulting her mimic Ryu fighting style as hers. 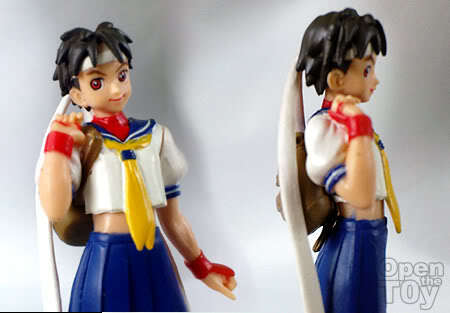 When she first appeared in Street Fighter Alpha 2, she was a popular character for many players. But I have no recollection of her. 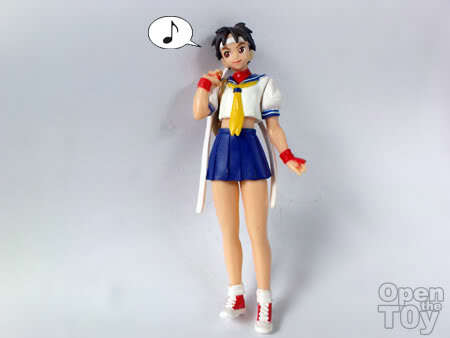 Thanks to KazeTora for telling me she is Juli from Street Fighter alpha 3. 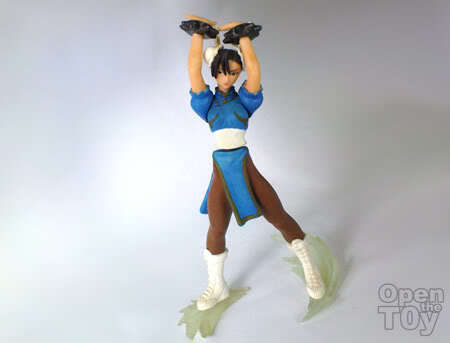 How can we forget about Chun Li, the first female character in Street Fighter? 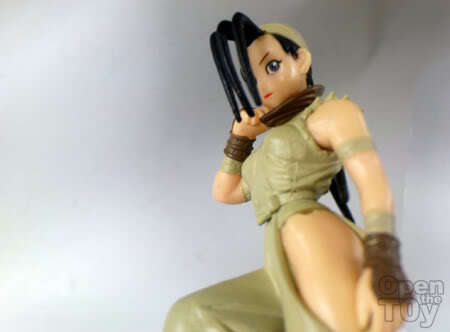 Ibuki appear in Alpha series and was favorite of mine. She is skilled in the art of ninjutsu as a trained assassin. In this series, they featured her standing on a rock. She is such a beauty to behold. Let's have a group photo, Ladies. I know some of you must be wondering what happened to Cammy? Oh! There she is. 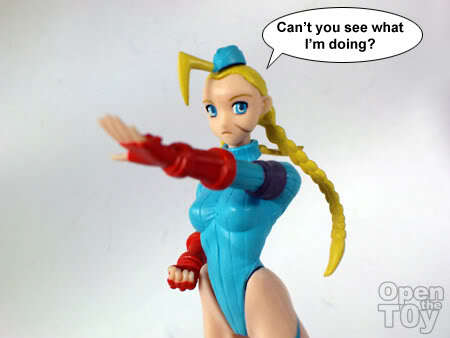 Cammy, what are you doing? I think let's keep that between you and me. 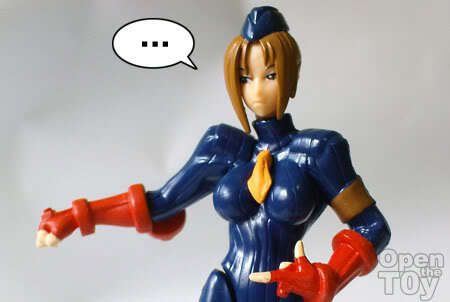 This Cammy figure was from the series 1 of Capcom gals collection. That wrap up about the ladies of Street Fighter which I owed. So who's your favourite ladies in Street Fighter? These are really cute. How big are they? I like Sakura! She's determine and Kawaii. She's easy to use in the game too! I used sakura too. Her move very much like Ryu and ken. I love most about her rushing Shoyuken. 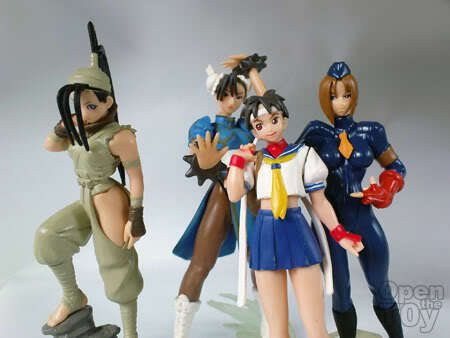 That unknown girl is Juli from Street Fighter Alpha 3, L.
these figures look really cool. Always tempted to get into gashapons as their sculpts are amazing. Thanks Shaun. For the price of a Gashapon figure for display, it is affordable. Sometime their QC is better than some actual action figure toys. it will take extra funds and space for me to ever get into them. Do u display them with plastic step shelves? Think its the most space economical way to display them. "I did this type of redecoration now and then depending on mood. :P"
Yah, buying entire waves does add up to quite abit.